Secure coding is no longer an option it’s a necessity. But as developers are forced to keep up with demands for rapidly producing new applications, security often takes a backseat – leaving critical gaps open to vulnerabilities. 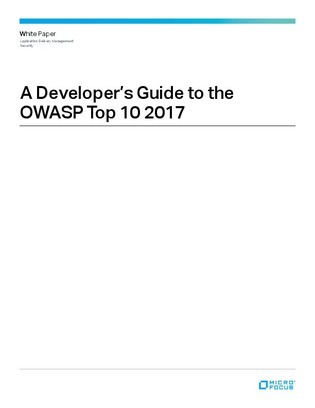 Download this guide to learn how developers can enhance their secure coding skills and reduce application security risks by focusing on the OWASP top 10.